Pacmin Auction – Bid Today to Support the ISTAT Foundation! The 2017 ISTAT Holiday Receptions are coming up in a few weeks! On 6 December, ISTAT members will convene in one of six locations: Dublin, London, Los Angeles, Miami, New York and Tokyo. Members will meet at the PYG Restaurant at Powerscourt Townhouse in Dublin (note start time of 18:30), The Royal Exchange in London (note start time of 18:30), the Casa del Mar Hotel in Los Angeles, the W South Beach in Miami, the Inside Park at St. Bart's in New York, and the Fish Bank Tokyo in Tokyo. Click here for a look at last year's holiday receptions. Click here for more event details, including attendees and registration information. Please note that due to strong demand for the New York and London events, all attendees must be pre-registered. Guest walk-ins will not be accommodated. In case you missed it, ISTAT Aviation Insights, sponsored by PwC. is a new series where ISTAT sits down with some of the most influential names in the industry to share thoughts, predictions and assessments. The series features one-on-one interviews with key industry players via a video or podcast format, and members can look for multiple installments throughout the coming year. 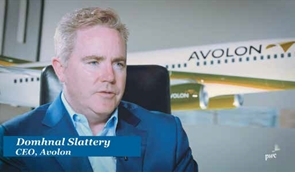 There are some exciting guests lined up, and the first installment featured a conversation between Merx Aviation Finance Managing Director Gerry Butler, and Avolon Chief Executive Officer Dómhnal Slattery, which covered a wide range of topics. Be sure to check out the video here and look for additional installments on ISTAT’s YouTube page throughout the coming year. Housing and registration for ISTAT Americas — 4-6 March 2018 at the San Diego Marriott Marquis in San Diego, CA, USA — will open in December. Watch your email for registration info and check the ISTAT website for additional details as they become available. Thank you to Jetran for their continued support and recognition of the ISTAT Foundation at the Jetran Golf Tournament that took place in Horseshoe Bay, Texas, on 27 October. Their sponsorship and corporate donation raised a record $100,000 to support the Foundation’s mission of providing funds for scholarships, educational programs and grants to qualified individuals and institutions that promote the advancement of commercial aviation and humanitarianism. 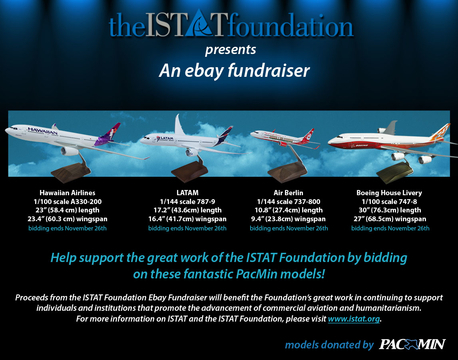 Support the programs of the ISTAT Foundation by bidding on rare PacMin models. Click here to access the PacMin eBay auction page. The auction closes on 26 November. Thank you to Pacmin for their donation and support of the ISTAT Foundation! The Winter 2017 issue of Jetrader will see the publication of the fifth and penultimate article in the ongoing ISTAT appraisers’ education series. Collaborated on by ISTAT Certified Senior Appraiser Neil Whitehouse and ISTAT Appraiser Emeritus and Member Emeritus Jack Feir, the next issue's article will take an in-depth focus on definitions. ISTAT appraisal definitions have become the industry standard for billions of dollars of financing and in litigation, as well. This article sets the definitions out and provides descriptive explanations for each. In the Winter 2017 issue of Jetrader, which will reach members in early December, ISTAT Appraiser Emeritus and Member Emeritus Jack Feir will take us back to 1933 with a race from Britain to Australia on the aircraft "designed to win a race," the de Havilland DH88 Comet. In continuing with the ongoing series of appraisals that appear in Jetrader, the Winter 2017 issue will feature the latest installments in this long-running feature. ISTAT Certified Senior Appraiser Olga Razzhivina, Oriel, will provide current and future values on the Airbus A319, and ISTAT Certified Appraiser Martin O’Hanrahan, AVITAS, will weigh in, and offer values and market commentary on the Boeing 737-700. Look for the issue to reach members in early December. The introduction of the multilateral instrument will require consideration by the aviation leasing industry, particularly in the area of tax treaty benefits. 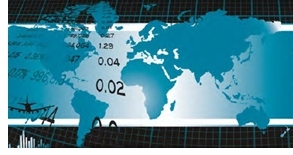 In early 2013, the Organisation for Economic Cooperation and Development (OECD) published a background report to tackle perceived strategies used by global companies to minimize their tax burden though "base erosion and profit shifting" (BEPS). In the report, the OECD outlined the steps needed to address this perceived abuse of international tax rules that were no longer seen as sufficient in today's climate. According to a recently released report from the International Air Transport Association (IATA), air travel will nearly double its current figures by the year 2036, with an estimated 7.8 billion passengers traveling by air. Although passenger traffic demand for carriers based in the Middle East registered a 3.7 percent year-over-year increase in September, growth in the region is slowing, with the sluggish numbers attributed to security and travel restrictions enacted in early 2017. While the global jet fleet is projected to double during the next 20 years to 51,800 aircraft, the parked fleet is expected to remain stable at approximately 2,100 aircraft, thanks to increasingly strategic end-of-life decisions.